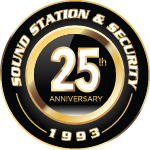 The word “custom” is thrown around, but at Sound Station and Security, we mean it. We want to walk with you through every step of the process. What kind of screen do you want? What kind of lighting? What kind of controls? Do you want a surround sound speakers system? With what kind of speakers? There are so many choices and we don’t want to pressure you into just taking our first suggestion. We believe there is a perfect custom job for each person and what would fit with their home and lifestyle. 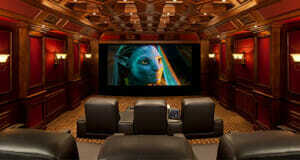 Let us help you find that sweet spot of screens, sound, lights and all the other elements of a home theater. Your entertainment room should be a place you can go to get away and forget about the world for a bit. Our custom installation team will help you get you there.